Meghan, now the Duchess of Sussex, arrives at St. George’s Chapel with her mother, Doria Ragland. Charles and Ragland exit St. George’s Chapel together. They appeared to be chummy, despite having only met a couple of days prior. 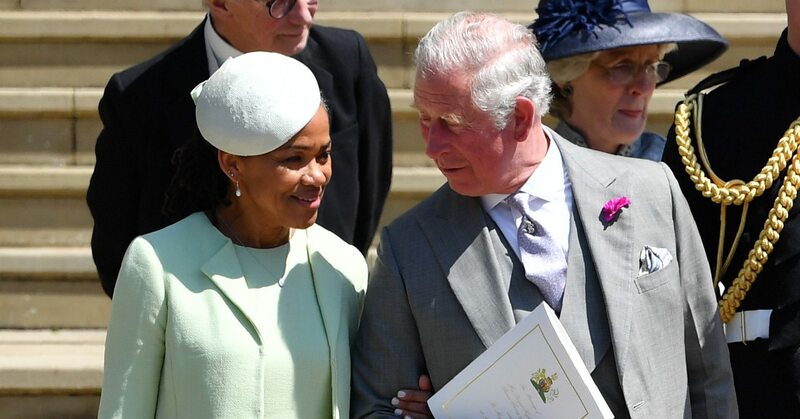 Harry turns around to find his father Charles taking good care of Meghan’s mom.